I believe that you should start using an eye cream as around your 20s because you don't want premature eye wrinkles, do you? 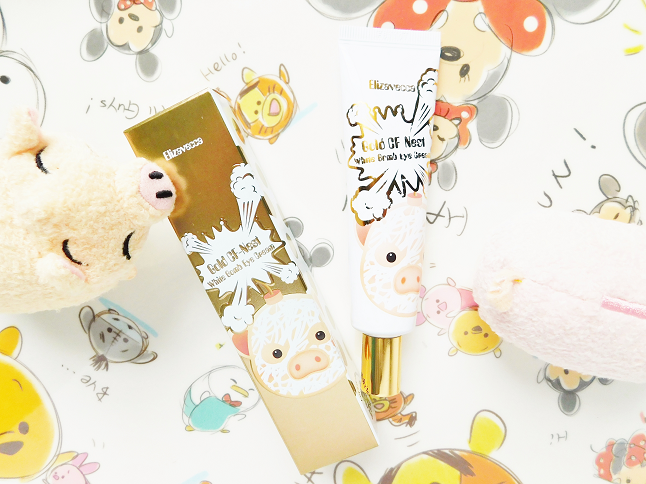 Today I will be reviewing an eye cream that I've mentioned on my blog for the past couple of months. The Elizavecca Gold CF-Nest White Bomb Eye Cream is an anti-aging cream that whitens, hydrate and reduces wrinkles. This is no regular eye cream though it's also a botox cream! It can reduce the appearance of fine lines, forehead wrinkles, laugh lines, crows feet and even neck wrinkles. I've mainly used this around my eyes but I would tap leftover residue on my forehead so I can only share those experiences with you. "Moisture soft absorption giving dull eye areas intensive care." I apply the Elizavecca Gold CF-Nest White Bomb Eye Cream every morning and night I've moisturized. 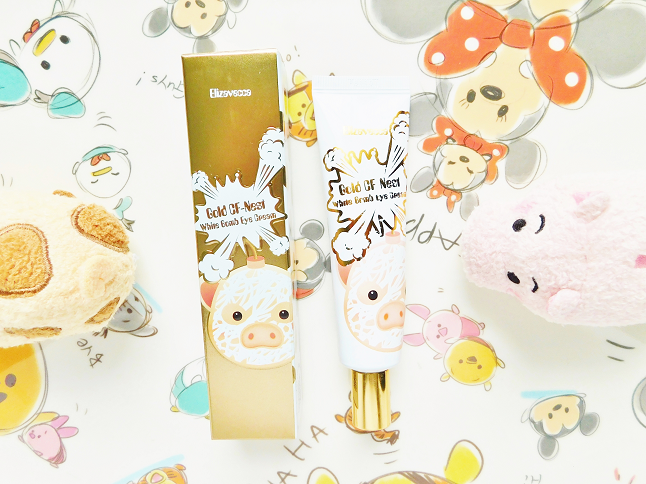 The texture of this cream is pretty thick but it dissolves into the skin pretty quick though. 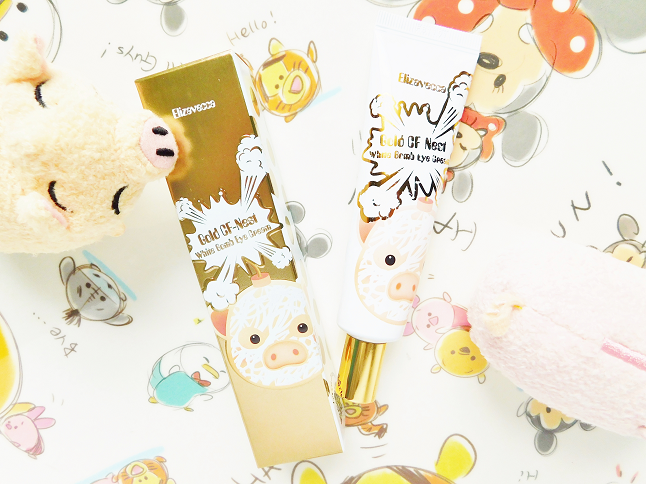 It has a light scent but it's not even noticeable so if you have sensitive skin then I would recommend this eye cream. 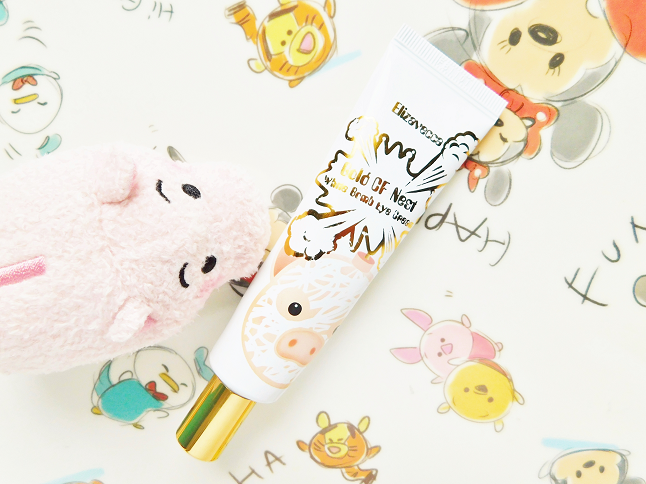 The packaging of this eye cream intrigued me because of the easy to apply tube packaging and obviously the cute piggy illustration. This cream is moisturizing, hydrating, soothing, refreshing and doesn't irritate my eyes. Most of the eye creams I've used in the past have stung my eyes so to find an eye cream that doesn't aggravate my eyes and performs well is a winner in my book! The only negative thing I have to say about this eye cream is that it's not that whitening. So if you have raccoon dark circles then this won't completely get rid of them but it may reduce a certain amount of the shadow. Yes and I have! This is my second tube and certainly not my last!